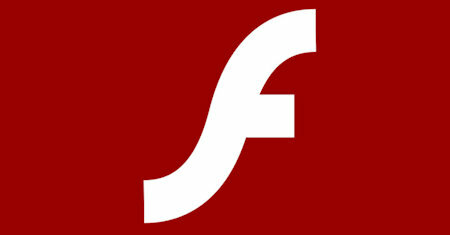 This books aims to introduce Flash Professional to those with no prior experience with Flash. It will act as a text that presents instructions on how to use Adobe Flash Professional from the perspective of people learning how to use it themselves. ActionScript may be difficult to learn for beginners with no programming experiencing, however, it becomes easier to grasp with repeated practice and use. This tutorial is designed for use with Actionscript 2.0 as well as ActionScript 3.0. Topics: Introduction to Charts, Chart Types, Formatting Charts, Displaying Data and Labels, Using Events and Effects in Charts, Using Advanced Data Grid Control, Creating OLAP Data Grids, Creating Applications for Testing, Creating Custom Agents. This comprehensive Adobe Flex 3 e-book describes the process of building and deploying Flex 3 applications, including information on security, performance, logging, player detection, the ASDoc utility, and Flex compiler options. The book describes how to use Adobe Flex Builder to build Flex applications. Topics: Learning Flex Builder, About Flex Builder, Flex Builder Workbench Basics, Working with Projects, Navigating and Customizing the Flex Builder Workbench, etc. The book describes fundamental programming concepts in ActionScript 3.0, including the ActionScript language, event handling, object-oriented programming, data types, regular expressions, XML (E4X), networking, and Flash Player security. The book describes application development tasks, such as creating applications, using Flex components, the Flex data model, and error handling. Topics: Programming Elements; User Interfaces; Advanced Programming; Data Access and Interconnectivity. Adobe Flex is a free open source framework for developing rich Web applications. This book is intended for anyone who works or intends to work with Web application design and development using the Web 2.0 paradigm such as application developers. The official guide to the Alpha release of Adobe Apollo, the new cross platform desktop runtime from Adobe Labs. It describes how Apollo works, and offers examples for those who want to build Rich Internet Applications for the desktop right away. The text covers working with Flash documents and projects, using symbols, instances, and library assets, working with color, drawing, working with text, using imported artwork, graphic objects, creating motion, working with video and sound, etc.